An inquest into the death of Peaches Geldof has today told that authorities came to discover 79 syringes and hundreds of pounds of high grade heroin in the family house she came to die in on April 7th. Peaches Geldof husband to be questioned. Did he supply heroin? 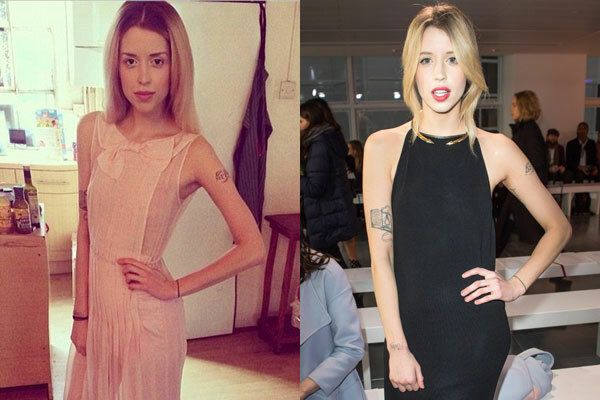 Peaches Geldof heroin overdose death. Did her husband know? Was he complicit? The inquest would tell that Peaches Geldof had come to die as a direct result of a drug overdose and that she was a heroin addict. The inquest would also tell that in two and half years prior to her death, Geldof had also taken heroin substitute, methadone. At what dosage was not stated. The hearing was told that Peaches Geldof had been having drug treatment in the two years before she died – but that husband Tom Cohen found text messages in February which led him to suspect she was using drugs again. During the hearing, the musician would tell that he witnessed his deceased wife flushing drugs she had hidden in their loft down the toilet. The inquest would reveal that there was evidence of codeine, methadone and morphine – which had come from heroin – in Peaches Geldof’s blood, and that the levels were within the fatal range. ‘Importation quality’ heroin with a 61per cent purity was discovered at Ms Geldof’s home, as well as drugs paraphernalia including burnt spoons, 79 syringes, cotton wool and a capped syringe hidden inside a box of sweets,’ reiterated the inquest. Giving evidence, musician Tom Cohen, 25, told the hearing that he had been attending rehearsals in London over the weekend of her death. When he spoke to her at 5.40pm on the Sunday she had been coherent, and he was not concerned for her well-being. However, on the Monday morning when he was unable to reach her by telephone, he returned to their home and discovered her body. Peaches Geldof would come to be found slumped on the bed in the spare room the couple used when their children were sleeping, with one leg hanging down to the floor and the other tucked underneath her. Her youngest son, Phaedra, one, was in another room in the house. The musician confirmed that he had gone to stay with his parents in south east London with the couple’s two sons, Astala, two, and Phaedra, and that everything had seemed normal when he spoke to Ms Geldof on several occasions over the weekend. The inquest would tell that Peaches Geldof had been having weekly drugs tests which she had told her husband were negative. However, even though he had not seen her take drugs, Tom Cohen became concerned that she might be, the inquest was told. Asked if he thought now that she may have been lying about the results, Tom Cohen replied: ‘Yes’. Appearing sick and gaunt this past February. The signs were too discernible. Why hadn’t anyone spoken up? North West Kent Coroner Roger Hatch put to Tom Cohen that Peaches Geldof had been finding it difficult to come off methadone although she was reducing the dosage because she did not want to take it any more. Asked by Mr Hatch, whether Ms Geldof had been a heroin addict, Tom Cohen answered: ‘Yes‘. A post-mortem examination carried out at Darent Valley Hospital found a puncture mark on Peaches Geldof’s front of her right elbow and another at the front of her right thigh. Old puncture marks were also found on her left thigh, the inquest was told. Police investigating Peaches Geldof’s death found ‘importation quality’ heroin stashed in a black cloth bag inside a cupboard over a bedroom door and drugs paraphernalia in the property, the inquest heard. A capped syringe was also found hidden inside a box of sweets found by her body. Forensic scientist Dr Peter Cain analysed the brown powder found by investigators and concluded that it was 6.91 grams of heroin with a purity of 61per cent. The officer said that it ‘far exceeded’ the 26per cent purity usually found at street level. Mr Fotheringham said: ‘The black bag also contained 34 medical syringes, some were with needles and some without, some were sealed in original packaging and some contained traces of a brown colored residue. Police also found a pair of knotted black tights under Peaches’ body and two other pairs of tights with knots in them elsewhere in the property. A burnt spoon was also found under the bed where Peaches was found dead together with cotton wool, and other burnt spoons were located throughout the house. Mr Fotheringham told the inquest that forensic scientist Emma Harris found a high level of morphine in Ms Geldof’s blood, suggesting she died ‘shortly after taking heroin’ and that it was ‘likely’ that the substance played a role in her death. In her report, Dr Harris said: ‘Persons taking heroin on a regular basis develop a tolerance to the drug, and such individuals can use doses that would be toxic, or fatal, to people with no tolerance. After hearing the evidence, Mr Hatch concluded that Ms Geldof’s death was drugs-related and that heroin had played a part in her death. He said that although she had struggled to come off methadone because of her addiction to heroin, by November 2013 Peaches Geldof was found to be free of heroin and reducing her methadone. But a message found on her phone by Tom Cohen in February this year which indicated she was using drugs again, he told the hearing. He said that drugs paraphernalia found in her home made it clear that she was taking heroin, but that her tolerance levels had declined. A police investigation into who supplied her with the drugs is on-going but as yet, no arrests have been made. Peaches Geldof found dead with 11 month old son by her side. So did they find “hundreds of pounds” of heroin or 6.9 grams? Hundreds of pounds of that junk would cost a considerable sum. BTW, methadone is harder to kick than heroin, they have to come up with a better alternative.